A slight departure from the norm for me and one was made for a friend, the other is available. Here are a pair of livery collars based on an example from an effigy of the mid 15thC. I am not sure of the exact details of what these were for, but I believe basically for 'good service', however please somebody chime in as I do find them interesting, but they are obviously not my core area. 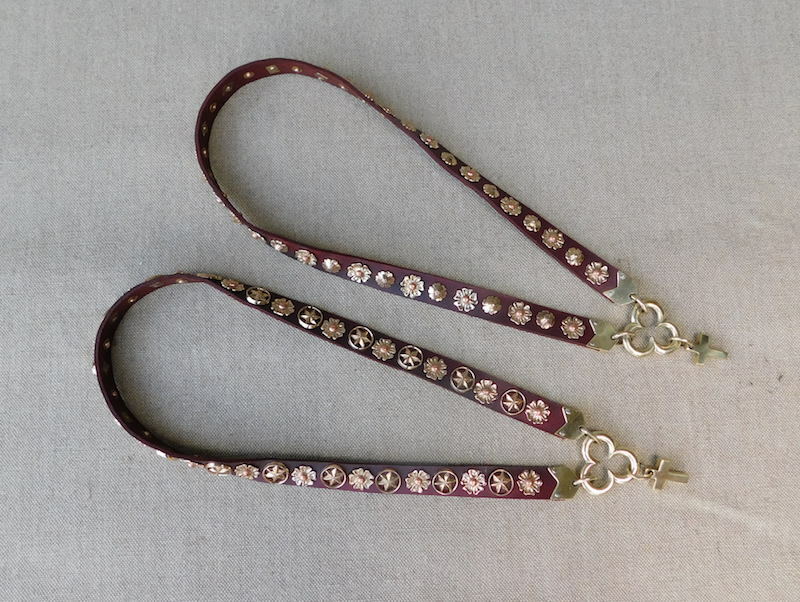 These collars are 27" long and long enough, to be slipped over the head with no need to undo a clasp and are very sturdily made. 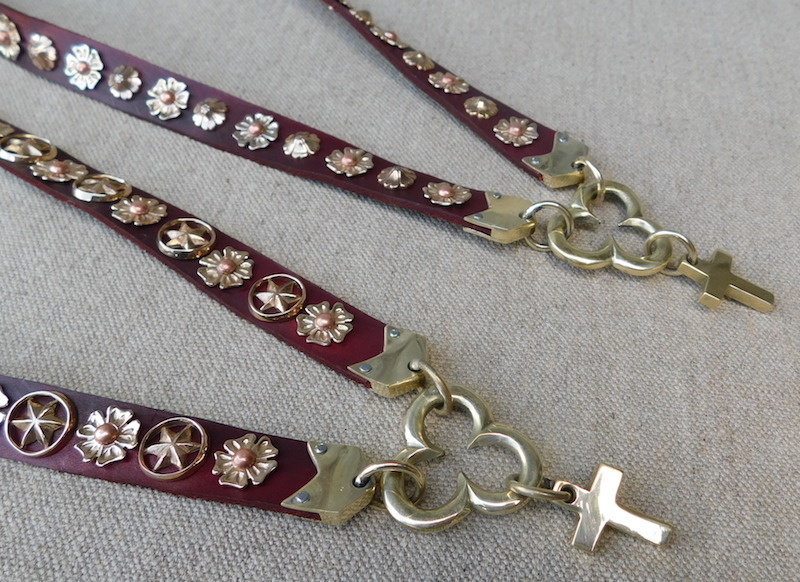 The thick veg tan leather strap is dyed red and all the studs are bronze; the flower petal one being cinched with a copper rivet as the flower centre. 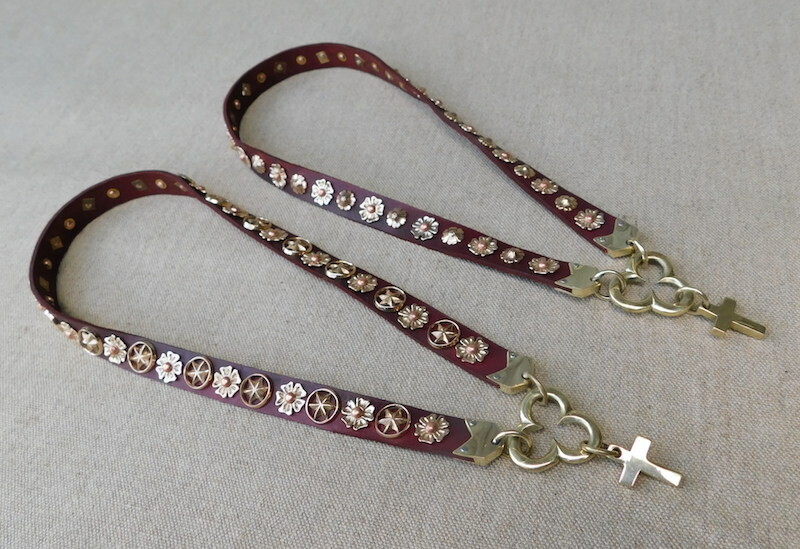 The strap ends, rings, trefoil and cross are all in brass.